What would be the ideal budget gaming laptop? This is a question that sent us into the market researching. You have to believe that getting the best gaming machine on a budget is a tricky situation. With that said, gaming freaks should not worry at all. We have spent enough time on the internet researching on the various laptops that can give you an impressive gaming experience without costing you a fortune. It is without a doubt that a good gaming machine can leave a serious dent in your bank account. Some fancy models can go for a staggering $3,500. If you are on a lean budget, that should not shake off your confidence at all. There are tons of choices out there, but it takes extensive market research to understand the options. Luckily, we have taken our time to do in-depth research on the best affordable gaming laptops. We have delved on the features and specifications for you to make an informed decision when purchasing a gaming machine. Asus has been known best for its top-notch gaming machines in the modern world. This is a brand that defines a class and never compromises your budget plans. While most quality gaming machines may blow you away and rip your wallet off at the same time, this modern Asus ROG GL552 Laptop comes with reliable features without tearing your account. Design – the sleek aluminum finish gives the F-22 fighter jet-inspired machine a touch of its kind. Its size is 15.1×10.1×1.3 inches. While it appears large than most of the 15-inch laptops, this gaming monster will give you a deal for your hard-earned cash. Its backlit keyboard makes it very comfortable to use even in dark rooms. It is designed to bring out a sinister red light making very modern. Display – the 15.6” screen comes with quality 1920×1080 resolution giving you the best gaming experience. If you love the new titles, this is the screen to use. It comes with a matte coating to avoid reflection on the screen. When I watched the ‘Nice Guys’ trailer on this monster screen, I was just wowed by the Full HD IPS display! The Intel Core i5-6300HQ powered laptop comes with 8GB RAM and a cool 2GB graphics memory thanks to its dedicated NVIDIA GTX 950M graphics card. This is a typical gaming beast you have been looking for. It has 128GB SSD and a whopping 1TB HDD for storage. You can connect to an external monitor thanks to the HDMI port. The USB-C 3.1 and USB 3.0 technologies are rare in the market. 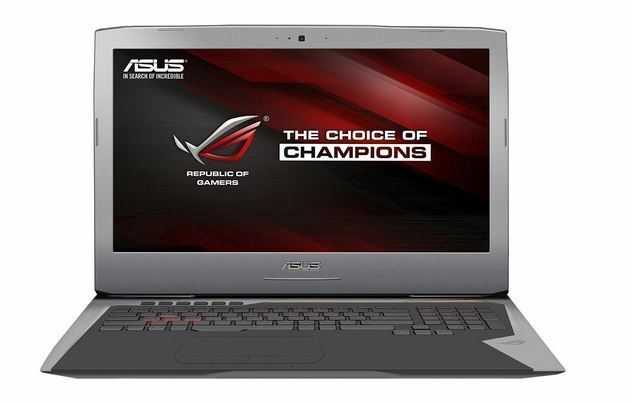 ASUS ROG G752VL-DH71, 17-Inch Gaming Laptop, Nvidia GeForce GTX 965M 2 GB VRAM, 16 GB DDR4, 1 TB HDD. If you are looking for the outright desktop replacement for your gaming needs, then I can tell you to think of Acer Aspire E5-575G-53VG as the best option. It has the hardware muscle that is unrivaled in the market. It can handle strenuous tasks alongside intensive gaming jobs. From its incredibly long battery life to its Full HD (1080P) screen resolution, the model delivers quality gaming experience thanks to its dedicated HD graphics card. Worth mentioning is its affordable price that is so unlike most of its gaming competitors in the market. In a nutshell, I found using the machine to be a perk of productivity with high-level multimedia performance. Its long battery life makes it easy for out-of-the-room use. On the downside, the touchpad is a little flimsy. Long are gone the days when high-end gaming machine was a reserve for the few, wealthy gamers in the world. Manufacturers have taken the money issue into their designs. The result has been the production of modern, quality gaming machines at low prices. This model comes with Intel Core i5-6200U processor thus top gaming speeds. The 8GB Ram already beats the gaming basics. It has a fast 256GB solid-state drive storage to ensure that you have sufficient space for your files. Gaming on the Acer Aspire E5-575G-53VG is, even more, fun thanks to the dedicated NVIDIA GeForce 940MX graphics card coupled with the Full HD screen display. From design specs, this Acer gaming monster will be a great deal for any gaming enthusiast who is on a tight budget. Its performance is drawn from sufficient connectivity ports and other peripherals as well as the internet connectivity features. This laptop is fast and effective for modern gaming. Acer Aspire E5-575G-53VG, 15.6-inch Full HD Gaming Laptop (Intel Core i5-6200U, NVIDIA GeForce 940MX, 256GB SSD, 6GB RAM). Best known as the all-rounder, the Acer aspire e5-573 gaming laptop has been introduced to the market, and gamers cannot avoid talking about it. Its powerful performance and its affordable cost make this gaming beast one of the best, most affordable laptops in the world. It has a suitable GPU, and its battery life is more than just enough to give you quality outdoor gaming experience. Intel Core i5-8250U processor that can clock up to 3.4GHz. This ensures quality gaming like none other. Its lightweight (2.4 kg) makes it very portable thus giving you the mobility you are looking for in modern laptops. Its power supply is barely 338 grams. GPU is a comprehensively dedicated NVIDIA GeForce MX150 graphics card that offers 2G vRAM. The 1072-1176 MHz Core is the power of this gaming laptop. It has a very fast RAM of 1000 MHz DDR3 memory. The display is made of a 15.6” high-resolution screen. This is your gaming partner. And with the backlit keyboard, you are guaranteed uninterrupted gaming even at night. RAM is 8GB DDR5 dual-channel RAM with one slot available for upgrades. 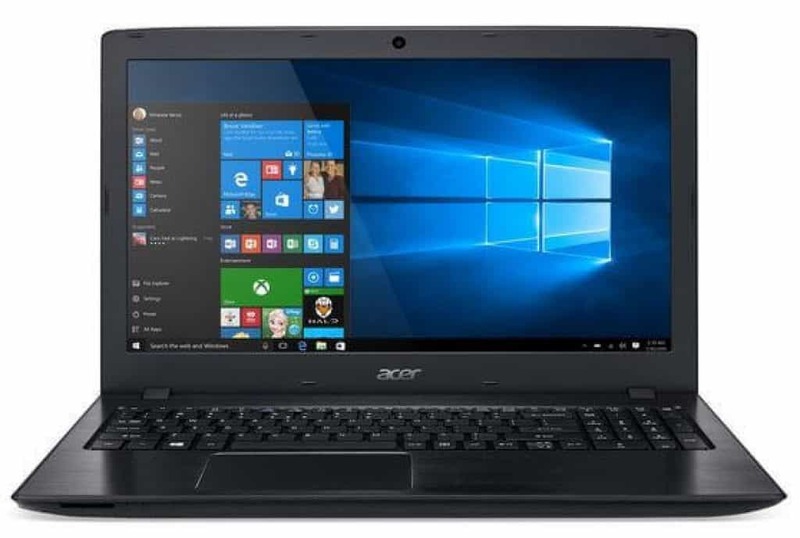 Acer Aspire E15 gaming laptop pros include the affordable price, discrete graphics card, high multimedia performance with top productivity and battery life. On the flip side, the flimsy touchpad with no Bluetooth may put you off for a while. This gaming machine does not come with keyboard backlighting. 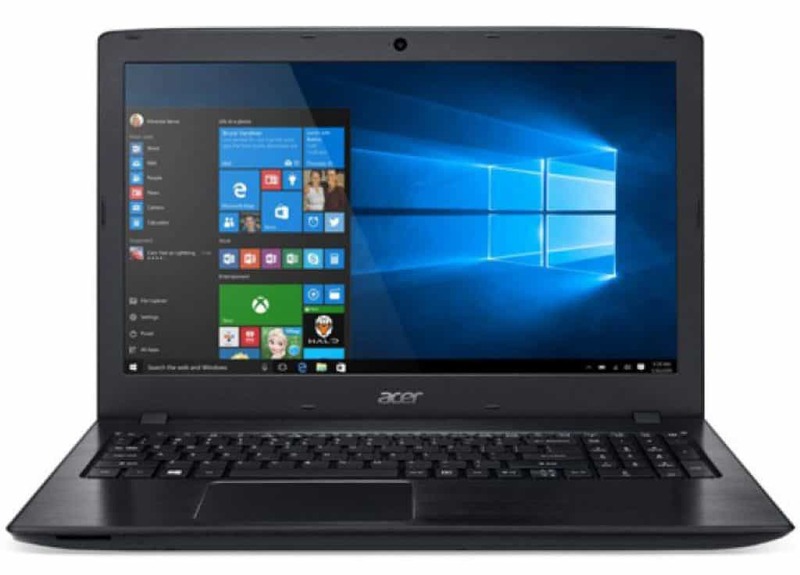 Acer Aspire E15, 15.6-inch Gaming Laptop, i5-8250U, NVIDIA GeForce MX150, 8GB DDR5 RAM, 256GB SSD Windows 10. The modern market has fallen in love with the gaming capacity of the new Asus machines. Powered by its powerful 6th-generation Intel Core i7-6700HQ 2.6 GHz, this budget gaming laptop offers gamers the best deal ever. Designed for gaming enthusiasts, this machine comes with immense features and modern technologies. The machine has established an indelible mark in the gaming industry. 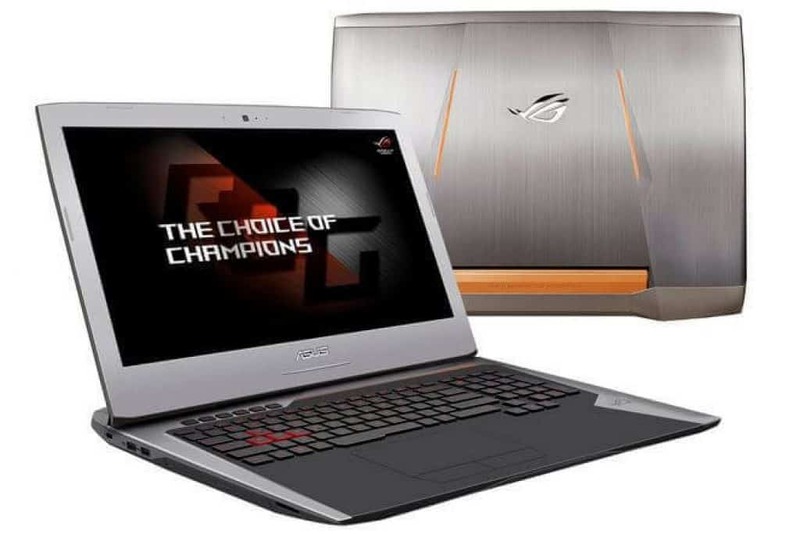 The dual-fan cooling system and the GPU overclocking are some of the unique features of this budget gaming laptop Asus ROG G machine. It comes with a 6th generation Intel Core i7 processor that works closely with the dedicated NVIDIA GeForce GTX 970M graphics card. You will not believe the model’s 16GB DDR4 system memory. Cooling is important for gaming laptops and no one knew it better than the budget gaming laptop Asus ROG G552VT model. It remains cool even on intensive gaming due to its dual copper heat pipes. This combines with the ROG 3D Vapor Chamber making it a great deal. It might still be a good idea to get a cooling pad for really intense gaming sessions. Asus ROG G752VT Gaming Laptop, 6th Generation Intel Core i7 6700HQ (2.60 GHz), 16 GB Memory and 1 TB HDD,NVIDIA GeForce GTX 970M. If you love modern gaming, this Dell Inspiron i7559 FHD gaming laptop is the ultimate choice for you. It is designed to deliver the best experience thanks to its stylish features. This affordable machine is made for multitasking and offers optimal performance for gaming. Video streaming is very effective thanks to the dedicated NVIDIA GeForce GTX 960M graphics card. There is nothing that works well for gamers than a dedicated graphics card machine. This comes with a cool 4GB GDDR5 of discrete memory – nothing can go wrong. This brings out a monster gaming experience with high frame per second rates while gaming. Video editing and transcoding are accelerated. Storage is sufficient for all your files. From its fast SSD memory that works in a similar fashion as the flash-based memory to the fast HDD, this machine will give you enough space to store your files. It is secure and highly efficient. The HDD read/write speeds stand at 10,000 rpm. Processing capacity is nothing to worry about. The machine is powered by a 6th Generation Intel Core i5 processor. When gaming with this machine, I could feel the monster energy behind it. It gives you the power you are looking for on a modern machine. With this gaming laptop, you can juggle between gaming and other daily tasks such as movies and streaming videos without lags. If you love doing your staff on the go, this model is the right choice. It is light and has lasting battery life. It is durable and its boot time is shorter than most gaming laptops on the market. It launches applications faster thus making it very efficient. The screen is Full HD thus giving you the best gaming experience ever. The fully framed anti-glare IPS display offers wide view angles making it one of the best gaming laptops within a low budget. 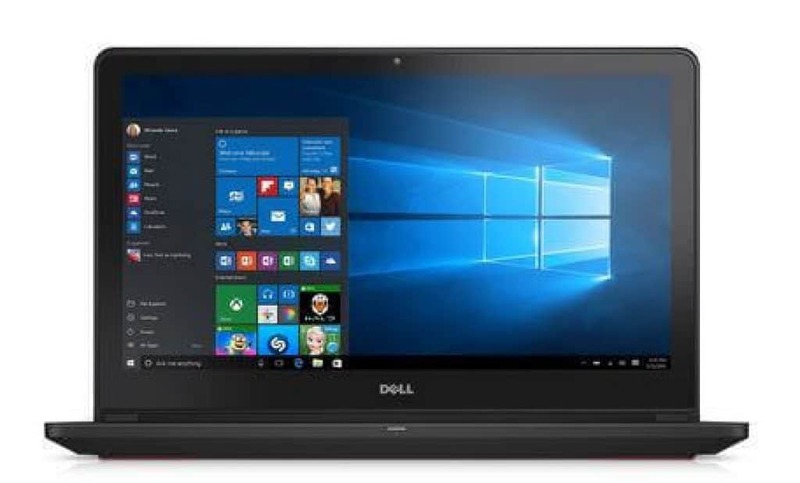 Dell Inspiron i7559 FHD, 15.6-Inch FHD IPS, Wide-Angle, Anti Glare, Intel i5-6300HQ 2.3 GHz Quad-Core / 8GB DDR3L RAM / 256GB SSD /NVIDIA GeForce GTX 960M 4GB GDDR5. 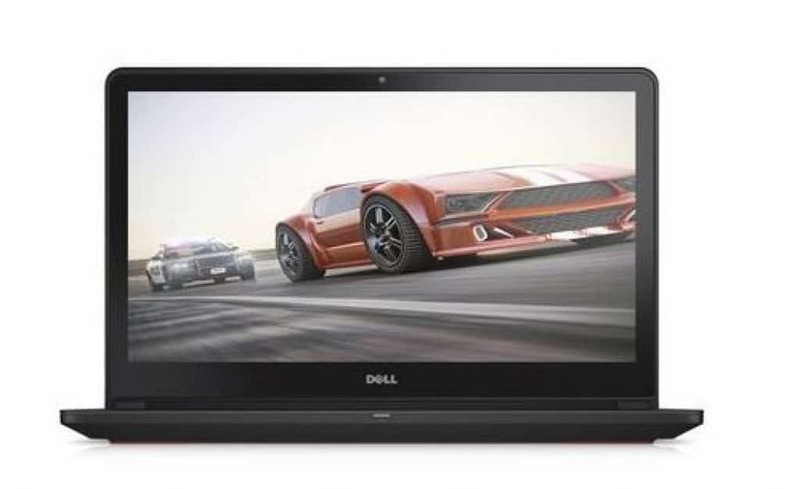 Dell Inspiron i7559-763BLK 15.6-Inch is a reliable choice for gaming fanatics who are on a budget. It is an affordable option that will give you quality gaming experience without having to tear your wallet. At first, I never thought of Dell to be a gaming machine. I know many out there are of the same opinion. Well, this will change once I have shown you what this machine has to offer. Powered by an Intel Skylake (6th generation) Quad Core, 2.3 GHz i5-6300HQ processor, the model will give you breathtaking gaming experience. It is supported by a dedicated NVIDIA GeForce GTX 960M, 4GB VRAM to deliver the outright gaming appeal. The laptop packs a cool variety of modern gaming titles that run on high frames. The 256GB Solid-State Drive storage space is fast and enough to keep your files safe. Loading your apps is at lightning speed. While this might seem insufficient space for your files, the machine is designed to allow for an external drive so as to save more media files. The size of your system memory, or RAM, is very important for gaming. Many ultra-powerful gaming laptops in the industry could be way higher than Dell Inspiron i7559-763BLK 15.6-Inch’s RAM. However, its 8GB DDR3L memory is sufficient to deliver quality performance without lags. Its processor architecture can effectively work with the RAM model to give you an experience like none other. You can also upgrade the memory to 16GB for a better experience. This machine is light (5.67 lbs) – though not as light as some of the choices in the market, its battery life is 10 hours thus quality gaming time away from the power source. The display is 15.6” (1920×1080) IPS Full HD. I know most of you are in shock to see the HP CUK Pavilion 15 machine featuring in our list of top, affordable gaming laptops in 2018. This notebook is truly budget-friendly. Many have known HP to give us lower-end machines but this new entrant is just an incredible deal for gamers. Designed with nothing fancy unlike those flashy colors in other models, this HP gaming machine boasts of a clean look, rounded and simple. It is lightweight with less than 5 pounds making it easy to carry around. When I first used this laptop, I was moved by its simple look on top of a cool hardware. It is made with a matte silver casing to give it a wow appeal. Let us look at its features and specifications. The HP CUK Pavilion 15 laptop comes with a dedicated NVIDIA GeForce GTX 960M graphics card for quality gaming even on modern titles. The notebook is made to run high frame rates thanks to its whopping 12 GB RAM. It is super fast and its 7200 rotations a minute assure you the best results. This is one of the newest DDR4 RAMs. The machine comes with a Super-Multi DVD Burner, vast storage memory. 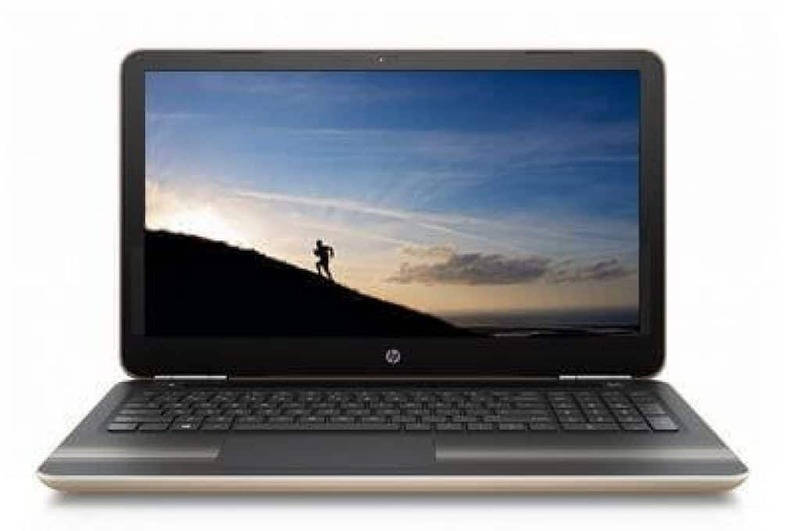 HP CUK Pavilion 15 17.3-Inch Full HD (1920 x 1080) Gaming Laptop. 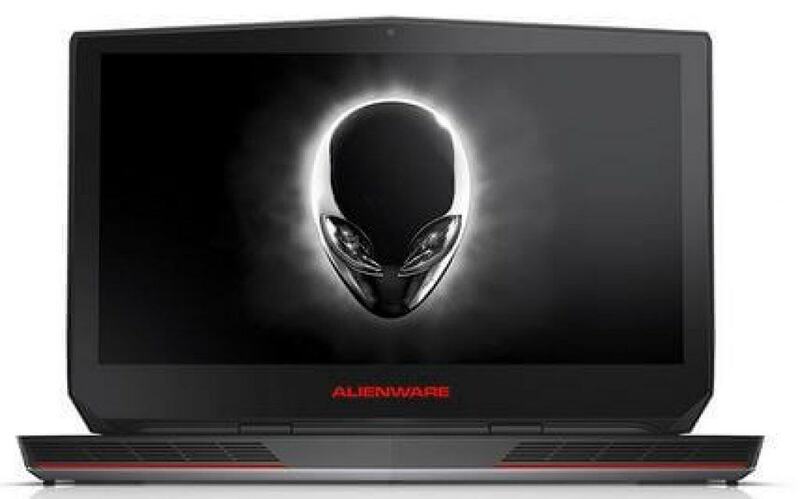 With the Alienware AW15R2-1546SLV Gaming Laptop, you can be sure to get top gaming laptops on the market that are within your budget plans. This Full HD gaming monster is designed to give you a quality gaming experience. It has been made with a total deviation from the norm in the Alienware product line. The hardware capacity of this laptop will just blow your mind: it is powered by a 6th generation (Skylake) Intel Core i5 processor. It is supported by 8GB of system memory ensuring that it can multitask without lags at all. The storage space is sufficient enough for all your media files. You can trust its 1TB HDD to give you more than you need to store your files. Gaming on this Alienware machine is just incredible. It has a dedicated NVIDIA GeForce GTX 965M graphics card for a better gaming experience. When buying a gaming laptop, there are a number of things you must consider. It is hard to find a perk of all-best features that will suit your gaming needs. However, our extensive understanding and research will help you figure out the outright option for you. If you are playing the latest titles that are resource-intensive, we have the best guide for you. This is a very important part of your gaming laptop. It is an important chip that determines how much you will enjoy while gaming. In 2018, the industry has seen an influx of quality technologies for the CPUs. A good gaming machine should have quality speeds and architecture that can deliver impressively. This may include quad-core, Intel Core i5 or i7 technologies among others. This chip is very important for your gaming experience. The graphics processing unit does the hard job to impress your eyes. For most demanding games, you need a powerful GPU. From our research, the market has been having a good one on NVIDIA GeForce GTX GPUs. For quality results, you need a minimum GPU of GeForce GTX 850M or 760M. You can also get a GTX 700 or 800 series alongside 3D surround and battery boost features. A reliable gaming laptop is about portability and efficiency. That does not come without great battery life. There is no point of buying a good laptop that cannot even last an hour while on its battery. This is true for a Get a lithium-ion battery for your machine to be sure of a good time while out gaming. Unlike most lead corrosive batteries, lithium batteries can deliver 15% more power reliability. If you are looking for the lightest gaming laptops, consider this type of battery. It can last you enough time, and it adds a little weight to the machine. You can also do your bit to protect your laptop’s battery as detailed out in the post How Long Do Gaming Laptop Last. Other issues that should never be ignored include connectivity such as WiFi and Bluetooth, external ports like USB ports, HDMI and BD combo optical drive among others. Always make sure your gaming laptops have the latest technologies for an optimal gaming experience. For some time, Full HD (1080P) has been ruling the world of screen resolutions. This was not until the introduction of the 3k resolution technology. Gaming on a high resolution gives you the best experience. We found the need to combine an HD graphics processor with such quality resolution for top gaming. 3k resolution is basically 3x1080P, making it very effective for gamers. However, if you are on some titles, you can still work well with 1080P. Your machine should have high frames per second. Simply, video RAM is a very useful aspect of a good gaming machine. Your GPU needs a dedicated VRAM to deliver effectively. This helps in the storage of all frames, textures, and other gaming attributes for your monitor. The amount of this memory needed for your machine could be hard to determine. However, our research team took enough time to understand how your GeForce GPU will combine with the VRAM to deliver quality pictures. Having 3-4 GB of video RAM could be very useful. It is dependent on the screen resolution and your GPU. This is the next most important chip in your gaming laptop. It is very useful when gaming since the CPU stores chunks of gaming files and instructions in this volatile memory. It is fast and very important for your laptop. Also known as system memory, RAM is needed for intensive gaming. You need a minimum of 8GB to get a quality gaming experience. The higher the RAM size, the better for you. The best affordable gaming laptops under 1500 should come with enough storage space. In my experience, I found that having between 750GB and 1TB of hard drive works so effectively for a good gaming laptop. It allows for sufficient storage of the game. Additionally, the drive speed is very important. This determines how fast you can transfer data into your machine. Gaming might require accessing heavy chunks of data from the hard drive. The faster the access to such information the better your gaming experience on your laptop. This is due to the cache on the hard drive which permits for quick access to the data. Check out our post on How Much SSD I Need for Gaming to know more about this. Getting the outright gaming machine under a tight budget could be daunting if you do not have the right information. You can get cheap gaming laptops under 500 dollars that can still serve you ultimately. Budget gaming laptops are not always poor in performance as many may perceive them to be. From our research, we have established this to be a mere fallacy. Our time in the market was well considered to ensure that we understood the customer needs against their budgetary constraints.